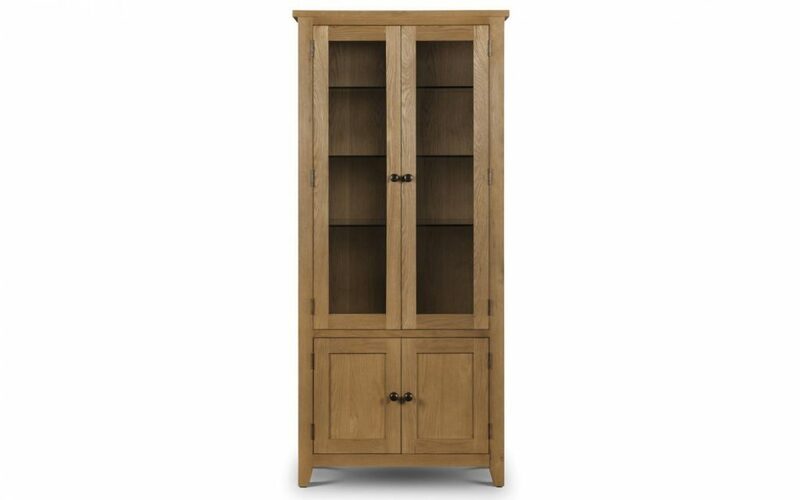 The Tori display cabinet gives practicality, display space and style all in one unit. 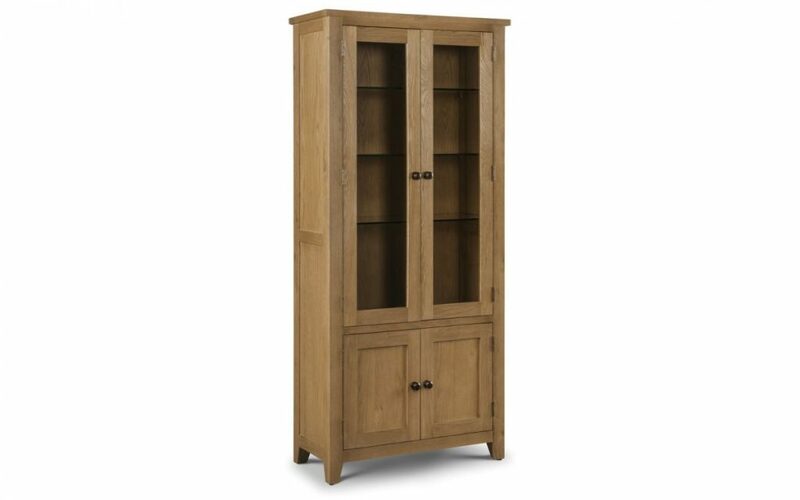 The tall, slim design means it will easily sit against a wall and not cause an obstruction in your dining room. The cupboard at the top of the cabinet is the perfect space for displaying ornaments and photos and includes three shelves to do so. The glass doors mean you are able to display your possessions with pride. The concealed cupboard towards the bottom of the unit is ideal for storing those unsighlty items or more practial items such as plates. With a solid oak with real oak veneers construction, the Tori display cabinet is extremely sturdy. 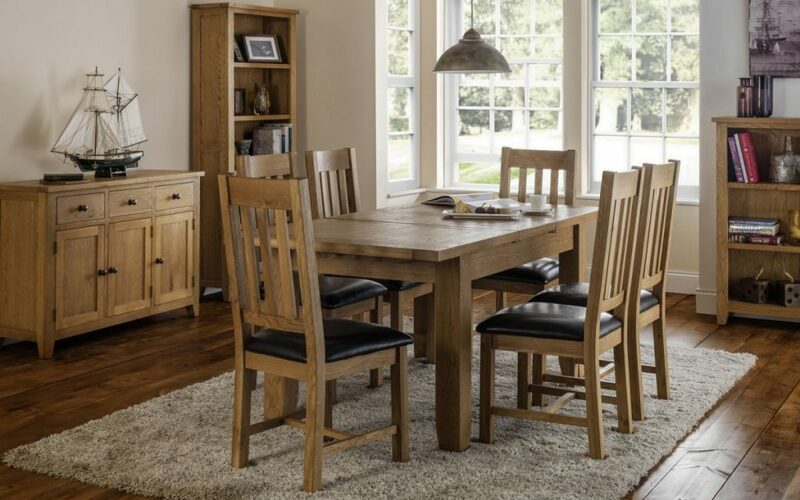 The waxed oak finish gives the cabinet a versatile look that suits both modern and period surroundings and is the perfect addition to any dining or living room. Glass, Solid Oak & Real Oak Veneers.